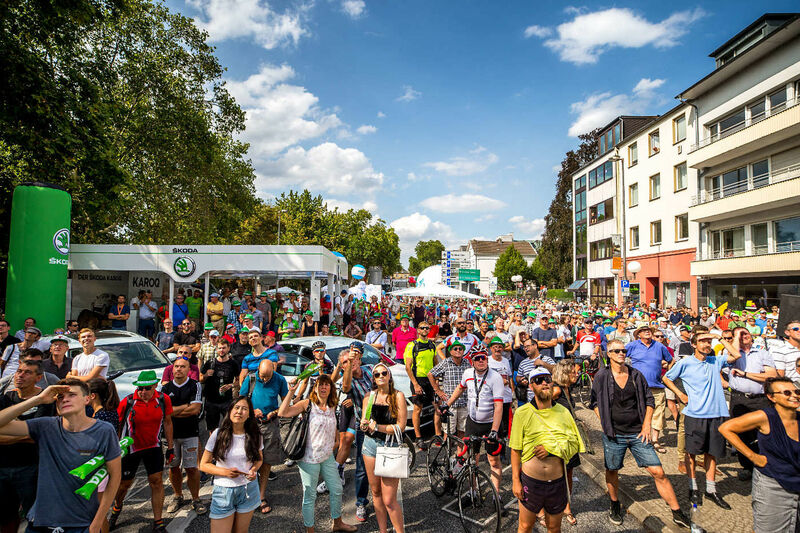 The Deutschland Tour will be accompanied in the stage finish towns by Germany’s largest mobile cycling market, the Expo Tour. 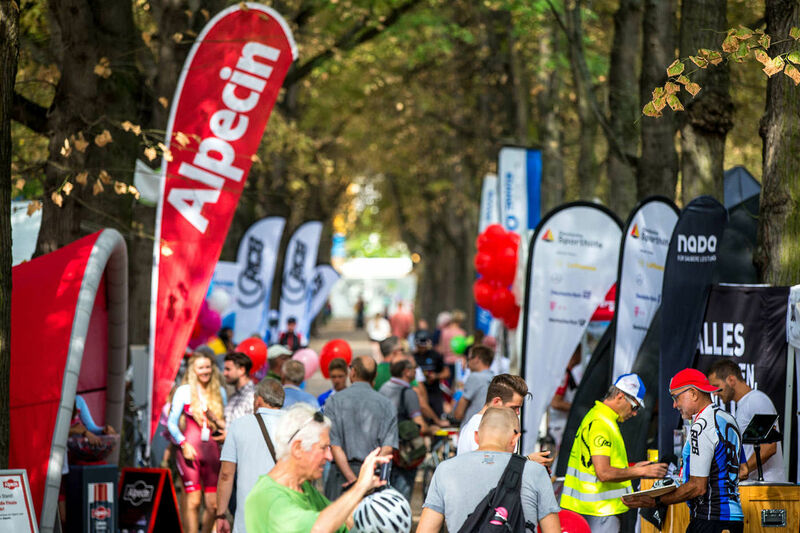 In addition to the cycling industry and partners and sponsors of the Deutschland Tour, companies from the sports industry, well-known producers of brand-name articles and tourist organizations in Germany will present themselves to the enthusiastic visitors. Here is the heart of the Festival! The Expo will take place near the finish line of the four stages of the pro race, as well as the NewComer Tour and the Jedermann race, is open to all visitors and, like all the other side events of the Deutschland. Deine.Tour, open at no cost. Opening hours before the pros arrive, the Expo Tour will offer its interesting stands and various attractions to curious visitors, allowing them to try, watch and participate, as well as take in the exciting shows and information. Top sports name-brands, exciting action to take part in and tips for traveling and cycling – the Expo Tour offers a lot to discover. Jut want to try out the newest products? Exchange ideas with the industry experts and pros? You are guaranteed to find everything your heart desires at the Expo Tour, the biggest mobile cycling expo on Germany. The Expo Tour will be at all the stage finishes of the Deutschland Tour. Deutschland. Deine.Tour and cycling – these stand for healthy and relaxed exercise in the fresh air and having fun. The Deutschland Tour will offer these benefits through various actions at the Expo Tour – in the middle point will be our „kinder+Sport mini tour" and of course the NewComer Tour and Ride Tour.